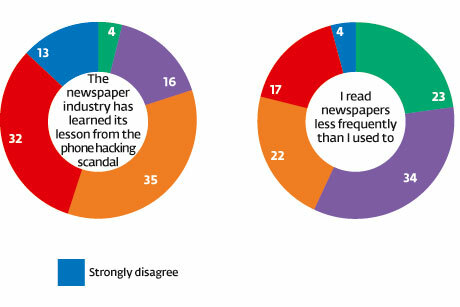 The Sun has the worst reputation among national daily newspapers, according to almost half of the public, but sister title The Times has the best reputation. Almost half of consumers (47 per cent) believe The Sun is the daily newspaper with the worst reputation in the UK, a new PRWeek/OnePoll survey has shown. 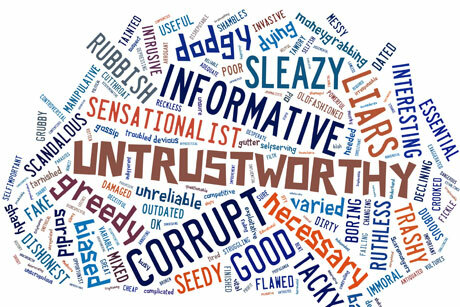 The Times has the best reputation, according to 20 per cent of respondents, followed by The Guardian (16 per cent) and The Daily Telegraph (12 per cent). 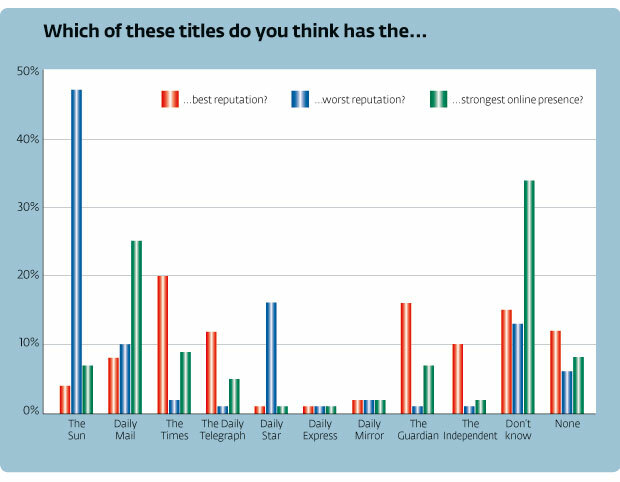 When asked which paper had the best online presence, 25 per cent chose the Daily Mail. Newspaper editors will be buoyed by the fact that only 28 per cent of the youngest group (18 to 24-year-olds) said they did not read a newspaper. This was lower than all the other age groups, except for those aged over 55 (25 per cent). In total, however, 57 per cent said they read newspapers less frequently than in the past. A resounding 92 per cent said they would not pay for online news content. When asked which channels they used most often to catch up on news, the most popular option for 18- to 24-year-olds was social media (16 per cent). The older the respondent was, the less likely they were to choose this option. Between 25 and 34 years, it was ten per cent, while it dropped dramatically to four per cent among 35- to 44-year-olds. A huge 72 per cent of respondents were aware of the imminent phone hacking trial of Rebekah Brooks and Andy Coulson. Fifty-one per cent thought the events leading to the News of the World's closure had damaged the reputations of newspaper print titles permanently. Television, radio and print are still being used by the public for news content, but this survey continues the narrative of a shift towards digital formats. We read fewer newspapers than we used to, but our appetite for news remains undiminished. On balance, tabloid newspapers remain a force for good, but the scars of the phone hacking scandal remain front of mind. 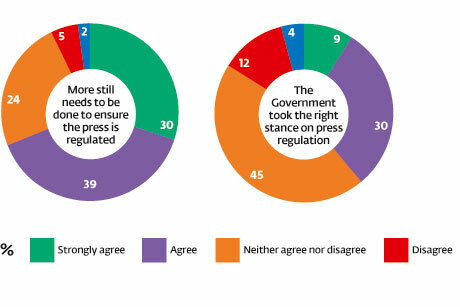 Consumers are clearly concerned about the reputation of the UK news media, with a significant majority believing that more should to be done to ensure that the press is effectively regulated. The frightening statistic to emerge from the survey is that only eight per cent of respondents would be willing to pay for online news content. This is an issue that we have been debating for more than ten years and, other than a few isolated cases, publishers are no nearer to persuading consumers to pay. Shifting business models remains the massive challenge for UK news publishers as media fragment.